According to a source, the Chinese people migrated from Java to Bandung in 1825, when there was war Diponegoro. 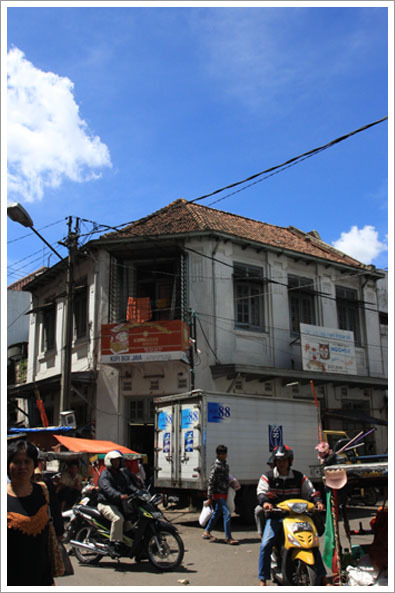 And when he got in Bandung, they form a community in Kampung Suniaraja (now Suniaraja Street), and around the Pecinan Lama St. Then spread to Klenteng St. area(1885). In this new place, they founded the Buddhist monasteries, “Satya Budhi”. According to the information of a temple manager, Chinatown in Bandung do not like any other Chinatown in other cities in Indonesia. For there is no accessories, or special signs to mark / characterize for their ethnic group. They have mingled with the local indigenous residents. Bandung thriving Chinatown in 1905, precisely at the Pasar Baru area (now, Otto Iskandardinata St. ). Most of them became traders, with the opening klontongan (mini market). 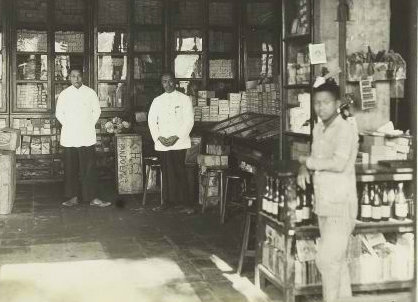 The pioneer is “Kiosk Babah Kuya”, who sells herbs (1910). Closeness among ethnic Chinese with the natives (19th century) worrying the Dutch who colonized Indonesia at that time. By all means, the Dutch seeks to separate between Chinese citizens with the natives. 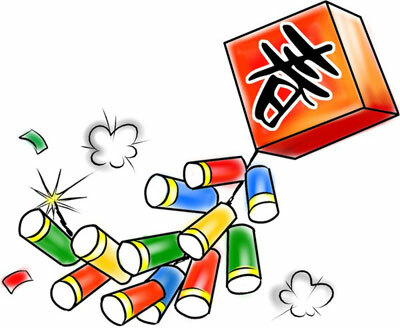 Splittism efforts that include: economic terms, the Dutch made the Chinese people as intermediaries selling spices, from Indonesia to the Netherlands. 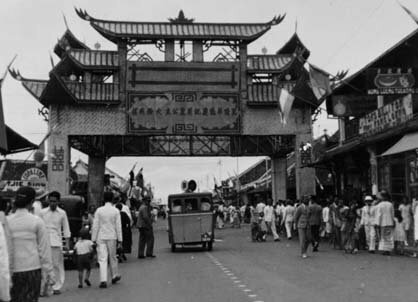 Chinatown Area in Bandung also formed due to political factors. The Dutch make a policy, where Chinese citizens residential areas should be separated by native residents. This policy also applies to European and Arab citizens who live in Bandung. When the incident Bandung Lautan Api (Bandung Ocean of Fire) (1946), the stalls in Pasar Baru was burned by the Dutch army. Bandung area is separated into the north and south. Both regions were bounded by railway, stretching from Cimahi until Kiara Condong. Northern territory controlled by the Dutch, while the south by the natives and foreigners. As a result of the incident, Chinese residents fled to Tegalega, Kosambi, Sudirman, and Cimindi. Thus, from Pasar Baru, Chinatown area extends to these areas. Chinese citizens and natives were reunited. Today, Chinatown in Bandung increasingly widespread, covering : Pasar Baru St., ABC St., Banceuy St., Gardujati St., Cibadak St. and Pecinan St. This eating place is located not far from the temple parking lot. Occupying an old house but clean, comfortable and beautiful. The owner and cook is a grandmother Chinese descent who is still lovely. Menu available are : “rujak cuka” (vinegar salad) / “asinan” (pickles), “lotek”, “gado-gado” (Sunday only), “cendol ice”, and “kolak”. 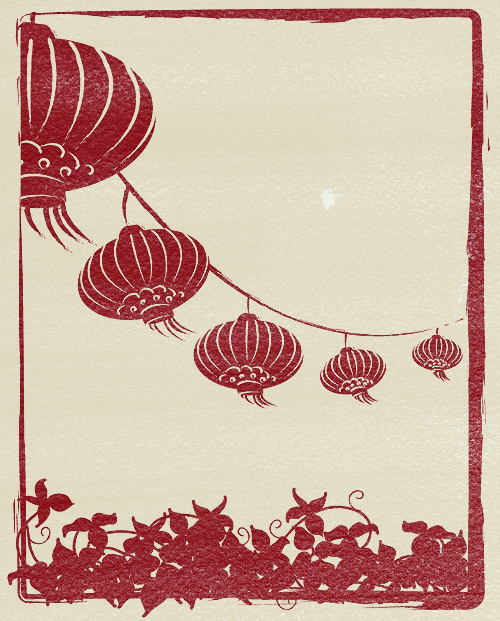 Not unexpectedly, the Chinese culinary heritage in the city has blossomed till 56 years old! For Min Yen Gardujati Branch, three kinds of flagship menus are : “bakpaw”, “casio” and “siomay” (dumplings). All contain pork. Of the three types of merchandise, dumplings was the most preferred. While Min Yen in Sudirman branch, the flagship menus are : bakpaw specials, salty bakpaw and sweet bakpaw. 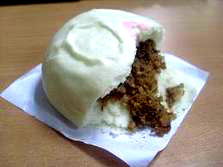 Special and salty bakpaw, containing pork. In here, the bakpaws are quite different with same bakpaw in anyplace, anywhere. Because Min Yen bakpaws are more tender and more gentle. This simple place is never empty of visitors, especially at night. Provided a very complete menu, various dishes from rice, fish, squid, chicken, pigeon, frog, shrimp, eel, and the soup / gravy. But most of all, the flagship menu is “cah kangkung” (cah spinach), it costs only Rp 40.000, – / portion. The restaurant is almost all non-Halal menu once also provides dim-sum.Has survived for 28 years . 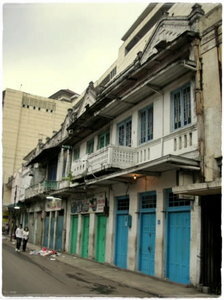 (Pasirkaliki St. no. 70, phone: 62-22-4221410, Gading Batavia Blok LC 9-29 Jakarta, phone: 62-21-45854422 open daily from 10:00 to 20:00 WIB). Culinary lovers would agree to assess “lomie” Karuhun is delicious. Because of its thick gravy , complete with meatballs, and a sprinkling of onions, and ebi are increasingly making it so delicious. Kuotie is a typical Chinese snacks, made from a mixture of shrimp, celery, pokcai and wrapped in wheat flour, such as the dumplings. Can be fried, or boiled. Eaten with ginger sauce. Eat one, certainly will not be enough. And the price is quite cheap, Rp 2.000, – / piece. The carts next to the Kuotie Santung cart. And make no mistake! This swike selling business has been running for 15 years! For those of you who do not know what it’s “swike”, which is typical Chinese food, the basic ingredients are the frog legs. 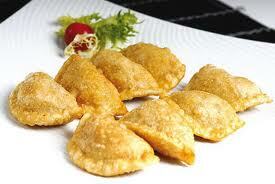 Most their customers choose fried floured swike , or fried buttered swike, it tastes so delicious. One serving contains about 10 medium-sized frogs, can be eaten together with a plate of hot rice. Woah! When I tell all the Chinese culinary in Bandung, will certainly long, and may make you bored! Hehehe … Maybe, next time I will continue my Chinese culinary journey. But, in essence is, cultural diversity, particularly acculturation Chinese culture with native’s, make Bandung more attractive and beautiful to be enjoyed! This entry was posted on Sunday, February 6th, 2011 at 4:12 pm	and tagged with Chinatown, chinese, gong xi fa choi and posted in Events, Foods & Beverages, History, Places. You can follow any responses to this entry through the RSS 2.0 feed.